11. Before Starting a Business, Start Saving Up! 44. Make Sure To Keep Corporate Records. 1. Before Starting a Business, Start Saving Up! A lot of businesspeople start a business in CA depending exclusively on loan money from friends, banks or the SBA. Many of these entrepreneurs are simply expecting to pay their loans once they earn a profit. What these people do not know is that businesses generally earn profit only after many months, if not a year, of operating. This is why those who depend on loans usually find themselves in trouble later on. Many corporate lawyers in Orange County, California advise business owners that the wisest thing to do is save up as much of the needed investment money as possible before starting their company. You have to prepare for the worst. Some businesses do not earn a profit for one to two years. Therefore, you should save up not only for investment purposes, but also for your living expenses for one to two years. Small business must start small. Do not rent large and expensive spaces if you have the option to start at a cheaper place. If you can start in a place where you won’t need to pay, then much better! Some small business start in a garage, a den or a scavenged place somewhere. Also, do not hire employees until you have enough work to keep them all busy. If you really need to hire employees immediately when you begin your company, hire as little as possible, to fill only the positions that are really necessary. If you can take care of certain tasks yourself, you do not need an employee to fill that position yet. Another option is hiring independent contractors or temporary workers in the meantime. Businesspeople usually buy business liability insurance to protect themselves from lawsuits that might arise. Although this might protect them from various kinds of lawsuits, it won’t help them with business debts. When a company encounters problems with business debts, the owner’s personal assets are also at risk. Corporate attorneys in Orange County, California advise businesspeople to consider forming a corporation, or, a limited liability company (LLC), to protect themselves and their personal assets. Both of these types of business entities can be formed by just one person. 4. Make Sure To Keep Corporate Records. It is imperative that you put all agreements into writing. The law stipulates that certain contracts and agreements must be put into writing (e.g. contracts that last more than 1 year, contracts that involve a sale worth 500 USD or more and contract that transfer ownership). But even contracts and other agreements that are not legally required to be written should still be put into writing (e.g. rental or lease agreements, storage agreements, etc.) Oral agreements are difficult to prove and might cause you more problems later on. 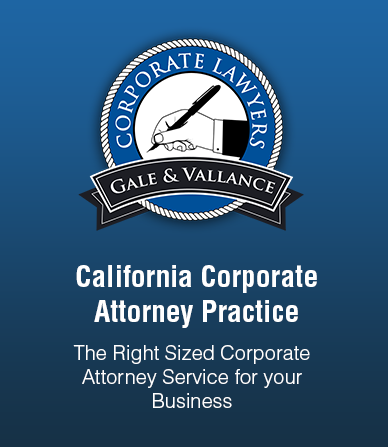 A competent corporate lawyer in CA can help you in keeping corporate records. It’s not enough to simply hire competent employees. You should hire and retain competent and truly enthusiastic employees. An employee who loves his work is ten times more valuable than an employee with average skills. You should also hire a business attorney in Orange County, California. You will benefit a lot from the counsel of a good corporate lawyer, not only when you’re starting your small business, but throughout its entire existence.